A non-invasive treatment that just works! A great non-invasive treatment that exfoliates and removes the superficial layer of your skin to improve the overall texture and quality of your skin. 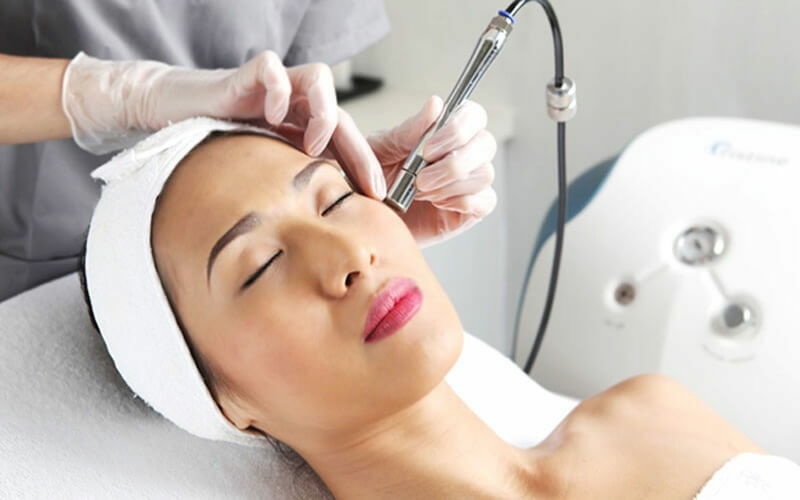 Microdermabrasion is a non-invasive, painless treatment that uses a diamond tipped wand combined with a vacuum to exfoliate clean, refine, and smooth the skin surface while increasing blood circulation to the deeper layers of the dermis. We recommend 4 – 6 treatments, performed weekly, fortnightly or monthly depending on your skin type and needs. Microdermabrasion treatments are commonly used in combination with other treatments, included peels. Recovery time is minimal. Can Microdermabrasion be used on the body? Though most commonly used on the face, microdermabrasion is also extremely effective when used on the hands, back, chest and neck. This treatment is fantastic at treating acne and reducing dull, dry or rough skin, superficial pigmentation, especially on the back. What will this treatment do to my skin? Mineral make up can be applied to the area immediately after or the next day after treatment.